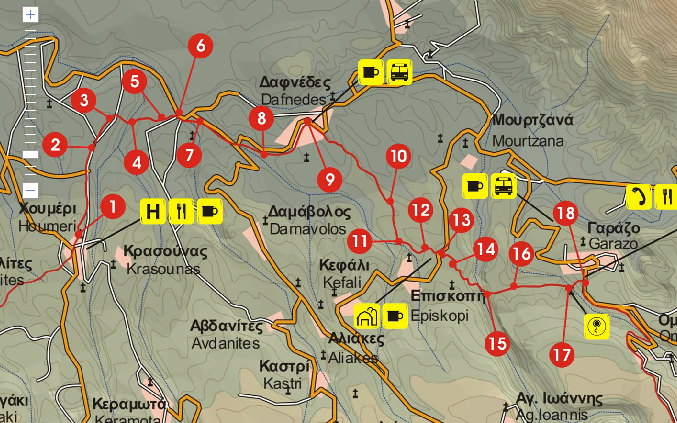 Hiking is the best way to explore Crete. There are plenty of paths which are worth hiking. Ancient routes and old cobblestone streets that used to be the main streets of the island once, are an attraction point for nature lovers today! E4 consists of two sections – a northern and a southern. 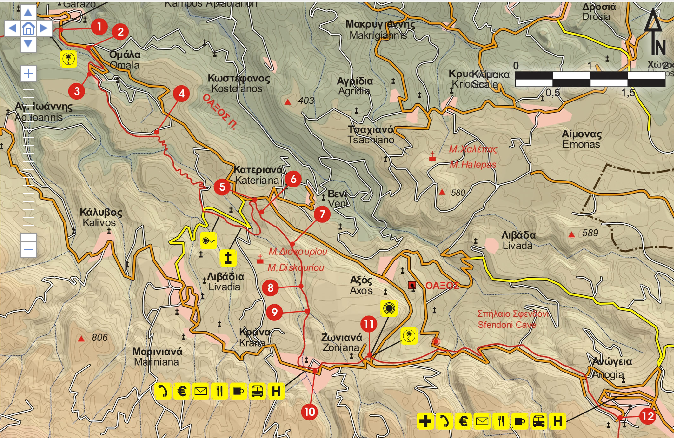 The first crosses the border from Chania at the village of Argyroupolis, the south in the area of Rodakino. 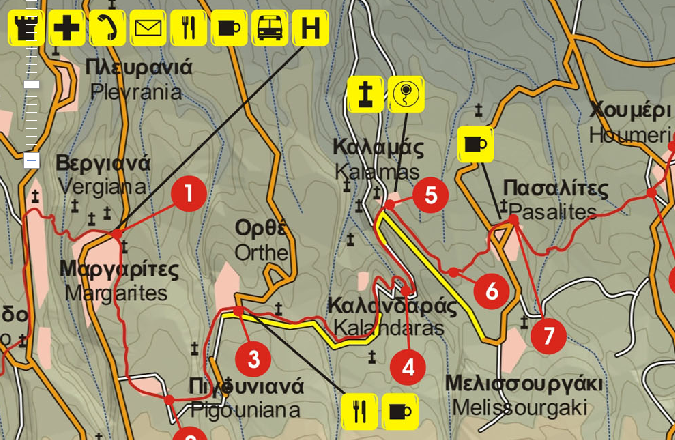 The two parts meet up at the Nida plateau on Psiloriti – thence the path goes on to the Heraklion Prefecture. Both branches again cross areas of significant archaeological, historical and cultural worth. The north branch is recommended to those more interested in Venetian monuments and modern cultural experiences, the southern is appropriate for someone in good physical shape and intrigued more by the Byzantine time. Route: The route starts at point A and ends at point B. 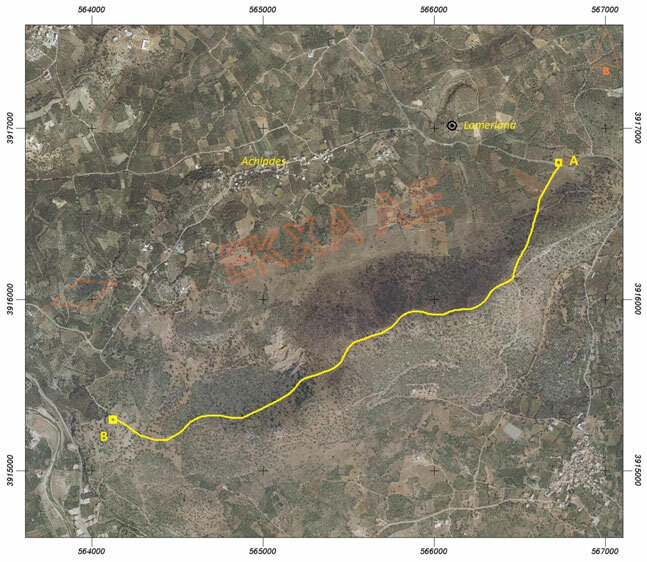 Its length is about 5km (3.1 miles) and it usually takes around 3.5 hours (yellow line in the image). The path is rocky and narrow, with thick bushes (some of them thorny) on both sides and with some steep uphill parts. 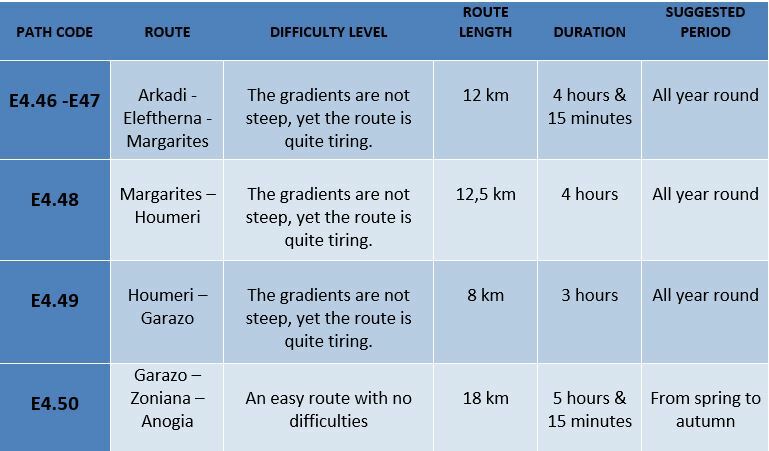 The highest point of the route is 308 m. above sea level, where a short stoppage takes place in order to admire the magnificent view of the villages of the area and the Cretan sea. 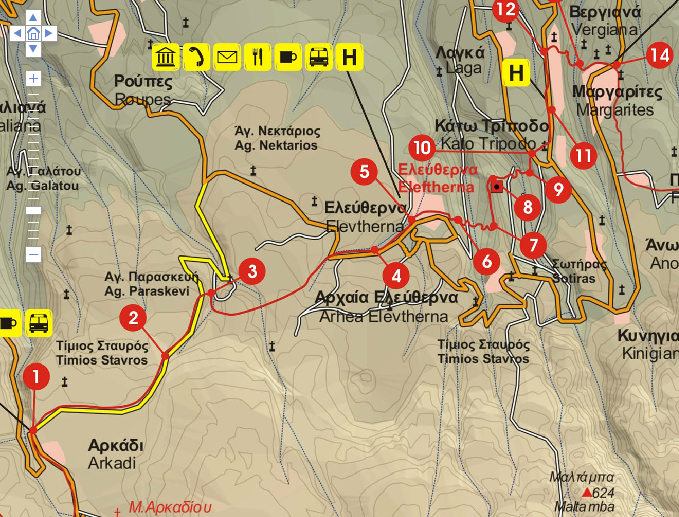 Hikers: Participants can walk the route as an organized group in cooperation with the Cultural Club of Achlades, with experienced local hikers in charge. 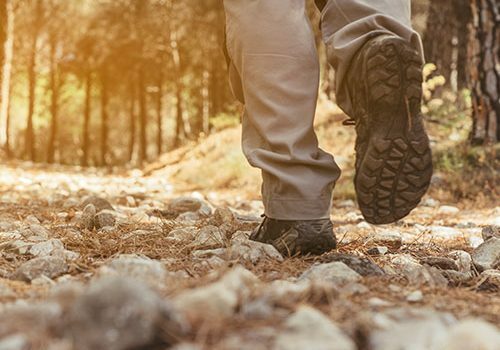 Participants should be either experienced hikers or in a very good physical shape.